Employed by the WCC headquarters in Geneva, he is working in Korea as WCC’s first Asia communications secretary. Previously there were only two regional communications secretaries, in Sweden and Brazil, that played the role of communication channels connecting the regions’ churches with WCC. Rev. Cheon emphasized that more persons of ability should be active on the world stage. “The Korean church can no longer think just about Korea,” he said. “Talented Christians are needed in larger numbers to take responsibility for the Asian and world churches.” In particular, he urged persons with skills in spirituality and English to take the initiative on the world stage. Rev. 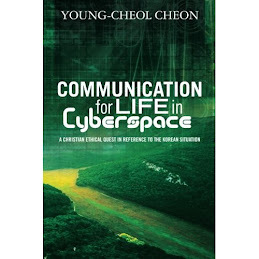 Cheon graduated from the Presbyterian Theological University Graduate School, and received his doctorate from the Free University in Amsterdam, the Netherlands. He worked for more than 10 years as Asia-region officer of the World Association for Christian Communication (WACC), and from 2011 was communications director for the WCC Korea Preparatory Committee, working for the successful holding of the Busan Assembly.